Daily Mirror - Will the government’s policy lead to mass dispossession of farmers? Will the government’s policy lead to mass dispossession of farmers? The first subject heading in Finance Minister Ravi Karunanayake’s 2017 budget speech was Agriculture which he said was a priority “given its importance to the economy, society and way of life.” He spoke of transforming agriculture from “low-yielding, low income, few crop dependent subsistence agriculture to commercial agriculture, raising income levels and developing small scale producers into big exporters.” A variety of proposals followed which, we are led to understand, are intended to uplift the lot of the 2.5 million strong farming community, most of whom cultivate small plots of a couple of acres at most. Looked at together with the prime minister’s policy statement of October 27 and other proposals elsewhere in the speech, there is reason to question whether this transformation would take place. Or, whether the envisaged measures would in fact result in the exact opposite – the mass dispossession farmers, compelled to abandon farming and sell off their plots out of indebtedness. Most agricultural lands are owned by the State, with farmers cultivating them on some form of lease or permit. Over the past several years there have been reports from time to time of the government’s distribution of freehold title to people who have been occupying various lands and properties on some basis, short of outright ownership. The budget 2017 too speaks of transferring ‘public housing to dwellers who have lived in such houses for more than 15 years’ and giving each plantation family seven perches of land ‘with clear title deed’ in order to ‘alleviate their conditions from the line rooms.’ Handing out land title to various groups was carried out under the previous regime too but has accelerated now. On the face of it these measures look people-friendly and welfare-oriented, but deceptively so. The rationale behind them lies elsewhere. It’s no secret that the government is in thrall to the World Bank and IMF, and policy is being dictated by conditions set down by them. The increased tax burden on ordinary people is a direct result of austere conditions imposed by the IMF in exchange for its $1.5 billion loan. The government’s neo-liberal policy thrust on matters relating to land and other key resources is dictated by the WB imperative to integrate with the world market. The budget’s encouragement of a shift in cultivation away from paddy towards producing fruits and vegetables for export comes from the WB’s script. In relation to land resources, the WB advocates full privatization – meaning fully marketable, freehold title, while irrigation water is viewed as ‘a private good’ that should be directed by market forces. For years it has pushed for the creation of a ‘Land Market’ in Sri Lanka that would make it possible for small land holdings to be sold and consolidated to enable commercial-scale economic activity. While receiving title may seem attractive momentarily, for farmers already burdened with debt it may well spell doom, as it could be the prelude to dispossession – either as a result of being forced to sell or having land given as collateral seized, following default on debt. “Clearly, it is in order to get farmers off the land” says Chintaka Rajapakse, Moderator of the Movement for National Land and Agricultural Reform (MONLAR). The long-standing grassroots organisation opposes the government’s move to abolish the Land Reform Commission and set up a Land Bank that would bring all land under one authority, making it possible for the government to release it for the envisaged large scale cultivation and other projects. 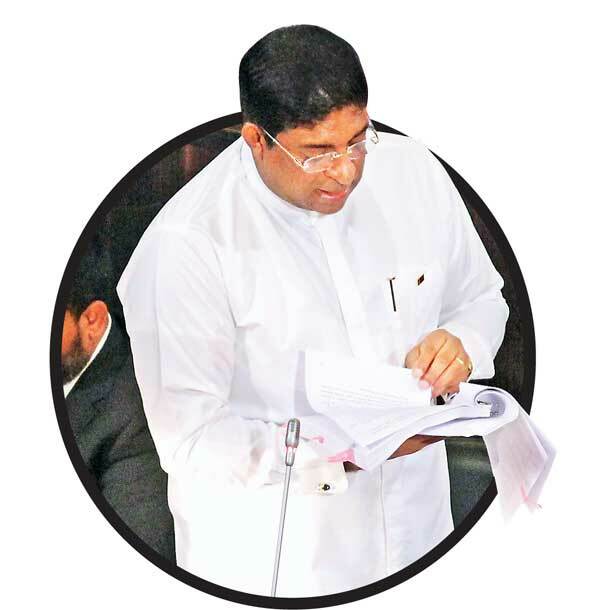 Rajapakse says the budget proposal to release 20,000 acres from the Maduru Oya right bank to provide minimum land plots of 1000 acres for commercial agriculture does not apply to the country’s millions of small scale farmers. They do not have the capital required for the envisaged mechanization and ‘high tech’ methods such as sprinkling chemicals from a helicopter etc.